July marked the end of our third year in business at Dailyprofit. Each year we review the service to get a proper long term picture of how the service is doing. You can read the 1st yearly review (+23.54 units) and the 2nd yearly review (+22.08 units) to see how we did in our first 2 years. You will probably notice that a yearly review is something novel amongst the tipster industry, and the reason not many others do it is simply because they would be showing a loss over any extended period of time. We not only review yearly but every single week you can head to the results page and see how we have done over the weekend. Our transparency is one of the reasons the Dailyprofit brand has exceeded my own expectations on how successful it would become. I believe our members know more than most of what is required to be a profitable long-term punter. There is a great community who chat in the comments and on the forum and when a newbie posts a question, before I get a chance to answer them, usually one of the older guys shares their knowledge. But a recurring issue since day 1 is that a few people can not deal with short term volatility. Sadly, it is 100% bound to happen to everyone who bets. That’s why these yearly reviews are so important. If you are looking at following any tipster, you need to look how they have done over an extended period of time (and a high amount of bets). 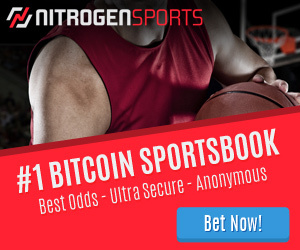 What is the Sportpunter Service? Dailyprofit is split into two distinct services. We have the Value & Risk free service that is open to Australian members only. This service takes advantage of ongoing bookmaker promotions to make huge profits for very little risk. I will be updating our 3rd-year results for that service next week. Today I am looking at the overall results for the other part of Dailyprofit. The Sportpunter selections are for everyone and offer bets on a number of sports all generated by the world’s best sports modeller. This is the pure gambling side of the service. This means that there is always the risk of losing money. But by using the best tipster and a structured portfolio we can minimise the risk and maximise the profit. Odds recording is one of the many ways a dodgy tipster can make their results look better. Odds should be recorded in a way that shows what the person using the service can expect to achieve at a minimum and with some effort easily beat. That is the goal of the Dailyprofit odds recording policy. I have yet to see any other service record as fairly as we do. This means we will never make claims of 10-20% ROI. We easily could by always recording at the top odds and best lines. But I am sure you have signed up to a tipster like that before and quickly realised there is no way you can get those odds and the odds you can get make it a losing service. It’s the opposite here, not only are the odds achievable, they are easy to beat if you have accounts with more than 1 bookmaker. For American sports (NFL, NBA) we take the price of pinnacle or 5dimes at the time of release. 95% of the time that means we take the pinnacle price. For Australian sports (AFL, NRL and Super Rugby) we take the average price between Pinnacle/Centrebet and the best Australian bookmaker. This means if you have access to Australian bookmakers, you will beat the official odds every time, and by a huge margin. This new odds policy will have dropped our ROI by at least 3-5%, but it makes sure all members beat official results. We also release our plays on the day of the game (or the night before for American sports), which means markets have formed and all members can get on. Many tipsters release midweek and only 1 or 2 people can secure their official (unrealistic) odds. What this means is that the results below are the minimum you can expect from the service and with a tiny bit of effort you will beat these results. We will always be in the 1-5% ROI category because we are more than honest with our odds recording. We recommend a combined 50 point bank. Our third year did not start well (and nor has our 4th). July/August/September see the final rounds of both the NRL and AFL, and these periods seem to perform the weakest out of the entire season. The NFL started in September and while it started year 3 well, it tailed off pretty quickly. The NBA started in late October and it’s winnings were barely covering the NFL losses. We had 5 months of floating between a $1000 (10 unit) and $2000 (20 unit) loss. Another month later on the 24th of January, we hit our lowest point of the season. We sat on a $4,324.16 loss (-43.2416 units). Thankfully, that also saw the end of a terrible NFL season. We had a month of just NBA betting before the current AFL and NRL season started up again in March. This was around the time everything clicked into gear and we went on the greatest run I have been on. Betting runs: Winning and losing runs come in bursts. Over the course of just 30 days, we made $9,368.11 (93.6811 units) profit. That is just 8.2% of the entire year. We also spent 254 days (69.59%) sitting on a loss. As people base their thoughts on what happened in the past week, the majority of the time they will feel like they are losing or treading water. Short-sighted punters can’t see the forest from the trees. With the NBA, NRL and AFL on fire, we hit an all time high of $7,678.83 (+76.7883 units) on the 2nd of July and ended year 3 just 4 days later on $7,166.33 (+71.6633 units) profit. Year 3 was by far the best year we have had with the Sportpunter service. It was a tale of two very different 6 month periods. In total, we advised 1,552 bets and won 760 of them, lost 769, received half payouts in 2, had 20 refunded and 1 half win. With a $5,000 (50 unit) bank, we turned over $193,752.50 (1,937.5250 units) and made a profit of $7,166.33 (71.663 units) at a very healthy 3.70% ROI. The stock market had an amazing year also, returning almost 13% over the same period. So if you had invested your $5,000 starting bank in stocks, you would have made $650 (6.5 units) profit. The real benefit of betting is that we are able to turn over our bank multiple times per year. This year we managed to turn over our bank 38.75 times (32x in year 1 and 42x in year 2) and make a total return on capital (ROC) of 143.33%. In year 3, if you had invested your bank in the Stock market, you would have made a 13% return. Investing it in the Sportpunter service saw a 143% return. An 11x better result. We will break down each sport below. But as you can see, we had 2 sports (NRL, NBA) perform exceptionally, 1 (AFL) perform to expectations, and 1 (NFL) perform terribly. The graph below shows the results since the service started 3 years ago. What this graph shows is that betting results will fluctuate wildly over time, but over the past 3 years, the general trend is up and to the right. What this also shows is the improvements we have made year after year. We have improved the models, our staking, and taking out sports that do not work with the structure of the service. After 3 years of the Sportpunter service, we sit on $11,729.53 (+117.2953 units) of profit at 2.2% ROI. Right in line with my expectations when I launched the service. I can’t be any happier with what we have achieved with the service. This time period shows the 2016 AFL season from Round 16 onwards up until Round 15 of the 2017 season. As we can see by the profit and loss chart below. The end of the 2016 season was a disaster, hitting a low of -$3,737.94 on the 30th of September. The first 15 rounds of the 2017 season have been incredible, turning that loss into a $1,181.33 profit. We bet a total of 385.475 units and won 11.8133 units. An ROI of 3.1%. The Head to Head bets lost 6.9850 units and the Line bets made 18.7983 units. We placed 274 bets and won 122, lost 150, and 1 was a half payout while another was refunded. If there is an H2H bet, there is usually a corresponding Line bet. So we placed bets into about 137 games over the season. The Head to Head model is always going to be more volatile than the Line bets as the average odds are much higher. The average odds for the Head to Head bets were $3.38 compared to the $1.95 average for the Line bets. We should also take a quick look at the AFL results since day 1. We have bet a total of 847.975 units and returned 14.8082 units at a 1.75% ROI. This is not too far off the 2% long term average I expect and I have no doubts we will be over that mark in the coming years. The NRL model just keeps producing the goods year after year. Just like the AFL model, the results span the end of the 2016 season and up to round 17 of the 2017 season. Unlike the AFL, we only advise H2H bets, but next season that is likely to change. The end of the 2016 season did well with over $1,000 profit, and the start of 2017 was amazing. We quickly climbed to over $5,300 profit on the 28th of April and stayed at that level over the final 2 and a bit months. Looking at the results since day 1 we also see a great return. We have bet 838.75 units and returned 104.4863 units at 12.46%. These results are over 442 bets and while I don’t believe this sort of return is possible over the next 442 bets, I do believe it will continue to make a very healthy profit. The start of our 3rd year saw us end the Super Rugby service. It had never performed well and it made no sense to continue offering a losing model. We placed a total of 15 bets in year 3 and won just 4 of them. In total, we bet 19.25 units and lost 5.2966 units at a -27.5% ROI. 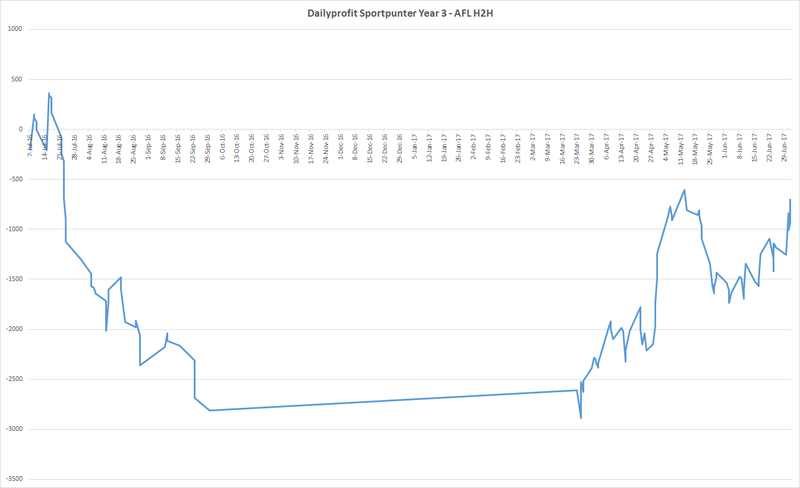 Since inception, we have advised 212.15 units worth of bets and lost 34.7527 units at a -16.4% ROI. The Super rugby is a weird beast, with teams playing over many continents. I believe there are a lot of variables that Jonno did not take into account. We will not be sad to see the end of this model on Dailyprofit. Onto the worst performing model of Year 3. We are very selective on when we start giving out NFL selections (based on the analysis Jonno has done). We started pretty well and hit over $2,000 (20 units) profit very early on in the season, before week after week of losses. We offer both Line and Totals betting for the NFL. In total we bet 334.5 units and made a 43.3046 unit loss for the season at a -12.9% ROI. Totals betting was the worst offender with a –$2,892.96 (28.9296 unit) loss at -17.0%, but the Line bets also produced a -$1,437.50 (14.375 unit) loss at -8.7% ROI. 2017 will be an interesting year for the NFL model. I believe the Line model still has potential to perform well. I’m unsure if we will be advising bets on totals this coming season. Since day 1, the NFL model now sits on a 4.6074 unit loss at a -0.4% ROI. The Line bets are still in profit to the tune of 20.339 units at 3.7%. The best performing model in Year 3 was the NBA, and in particular the Totals. We consistently smashed the closing totals and that was mirrored in our results. It was just relentless winning on the totals. Jonno had made some changes to the model for this season as they tended to start strong and results would tail off as the season progressed (an ongoing issue for all models). Whatever he had done worked amazingly well. In saying that, the same changes did not help the H2H bets. We bet a total of 882.55 units and made a profit of 52.6411 units at a 6.0% ROI. The totals betting made 76.1038 units at 14.7%, while the Head to Head betting lost 23.4627 units at -6.5%. Another one to watch this year and if the totals once again start well (which means beating the closing lines), I may increase my bank with these. Since Dailyprofit launched, we have advised 1233.05 units worth of bets for a 64.6343 unit profit at 5.2%. The Totals being the standout. One thing that you need to factor into the results is the cost of the service. The current cost of the Sportpunter service is $98 per month, which is $1,176 (11.76 units) over the course of a year. So if you do have a $5,000 bank, your $7,166.33 profit becomes a $5,990.33 profit. If you have a bigger bank, the cost of subscription plays a much smaller role. Also, note that most subscribers joined years ago when the price was lower and they are locked into that price. The average member pays around $65 a month. We also offer members a 15% discount if they pay for a year in advance, bringing the cost down even further. Once the AFL and NRL season end, we will be looking at our pricing structure. An amazing year of punting for Dailyprofit members. The good times were only a tiny percentage of the overall year, but the gains we made in that time, massively covered the other slow or losing periods. For a member betting $100 per unit with a $5,000 bank. They made an amazing $7,166.33 profit from the service. 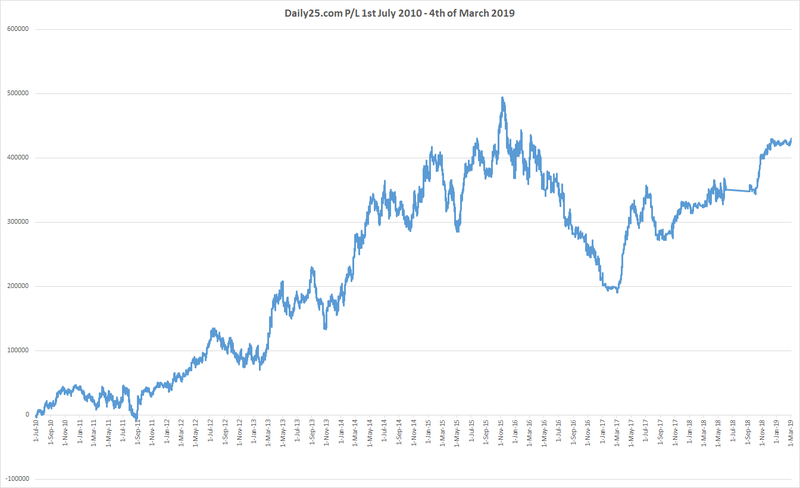 If you are willing to take a year long view with your punting and able to stick out long periods of sideways and at times downward movements, in the long run you will be very richly rewarded by following the Dailyprofit Sportpunter service. We continue to improve the structure of the portfolio and that is shown in this year’s results. We are still not perfect, but we are getting closer each and every day. As mentioned earlier, I’m ecstatic with the overall results since inception. Dailyprofit is simply the fairest, most honest and transparent service on the internet today. It was built that way because I was sick of all the other tipster services out there and decided to create the worlds best tipping site. All this honesty would be worthless if there were no profits to go along with it, but we have shown over 3 years now that the results are there. If you want to join a community of profitable members and start making a profit from your betting, just sign up on the homepage. Nice Steve. I cross checked with my spreadsheet, and your figures are pretty spot on. I was double betting NBA early on, so I came out with 86.92 unit profit. The value side of the ledger was not bad either. $2700 there. Brilliant mate and glad that your results reflect what should be achievable. Congrats on the great results, impressive for sure. Having said that: one thing that stands out negatively is the 50u advised bank. Given that you had a 40u+ drawdown on at least 3 occasions means that if you were unlucky enough to jump on at the worst time, you would have been way too close to going broke. 80-100u is a more realistic starting capital. Yes, I agree. Banks should be at least 2x the biggest draw down. Timing is a huge factor as well, and that 40 unit drop was off the back off a massive winning run. As is the current one now. Another issue is that even though a member does set up a 50 unit bank, as soon as they lose 25 units or more, they start to second guess and stop betting or lower stakes.